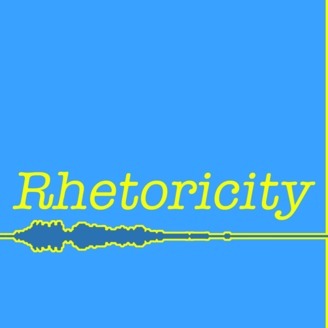 Rhetoricity is a quasi-academic podcast that draws on rhetoric, theory, weird sound effects, and the insights of a lot of other people. It's something that's a little strange and, with luck, a little interesting. The podcast's description will evolve along with it. Most episodes feature interviews with rhetorically oriented rhetoric and writing scholars. The podcast is a project of Eric Detweiler, an assistant professor in the Department of English at Middle Tennessee State University. If you are interested in more information, you can get in touch by using the contact information included on his website or sending a direct message to @RhetCast on Twitter. Transcripts are available for some episodes. Use the "Pdf: Transcript" button at the bottom of individual episode posts to access the corresponding transcript. If you would like a transcript of an episode that doesn't appear to have one, feel free to get in touch. 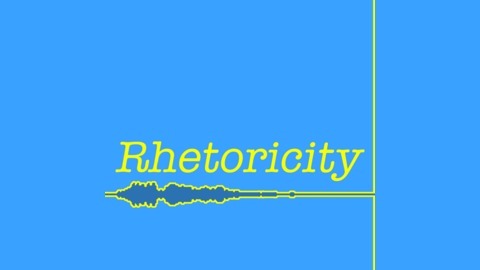 Rhetoricity has received support from a grant from the Humanities Media Project. This episode features an interview with Dr. Ryan Skinnell, assistant professor at San José State University and editor of the recent collection Faking the News: What Rhetoric Can Teach Us About Donald J. Trump. That collection is the focal point of the episode. This interview was recorded at the 2018 Conference of the Rhetoric Society of America in Minneapolis, Minnesota. Because Faking the News is meant to speak to audiences beyond academia, we tried to approach the interview in a way that would be accessible for those who don't have advanced degrees in rhetoric and writing. We discuss what exactly rhetoric and demagoguery are, what sets rhetoric scholars apart from other academic experts, and strategies for maintaining momentum on writing projects. Oh, and pajama pants. This episode features a clip of the song "Grifted" by Literature.